Featuring both grizzled veterans and fresh young recruits alike, including Tanya Huff, Simon R. Green, Carrie Vaughn, Jonathan Maberry, and Seanan McGuire,Operation Arcana is a must for any military buff or fantasy fan. You’ll never look at war the same way again. [The] stories are surprisingly deep with either very original settings or fascinating conflicts. […] On the whole, I was pleasantly surprised by the anthology. There’s far more depth in these military settings than mere conflict and a whole lot of nuance more than once. Operation Arcana, introduced and edited by John Joseph Adams, presents sixteen military fantasy stories. A few of these tales haunted me. Many of them entertained me. And all of them presented solid work. […] One of the best features here is the range of political outlooks on war. Another laudable thing is the inclusion of a couple of stories either told from the non-American side of a particular conflict or overtly critical of the United States. Such inclusion is an act of literary and political bravery. A third strength is the range of sub-genres: from steampunk to an homage to Tolkien to an updating of Peter Pan to golem stories. This is a very worthwhile anthology, with something for every fan of military and fantasy stories. 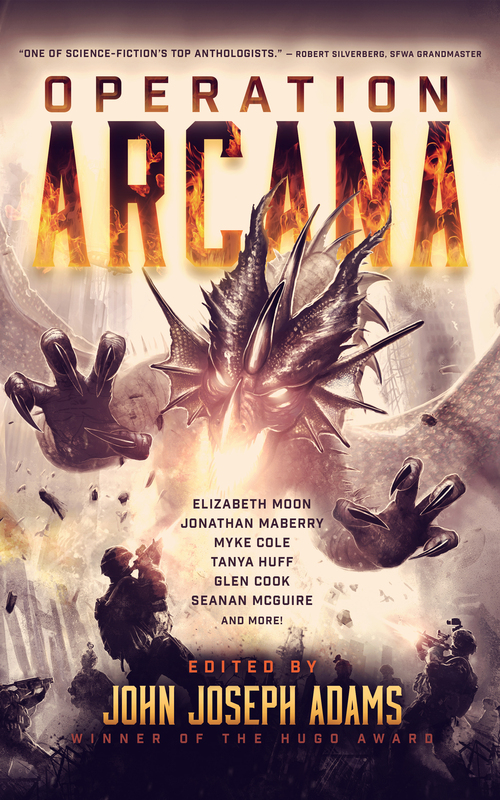 Each and every story in Operation Arcana is a fine read with many offering a unique take on the anthology’s premise. Operation Arcana is an anthology that I wholeheartedly recommend to anyone and everyone who enjoy exciting military themed fantasy fiction.